When Do Strength and Conditioning and Fitness Certifications Really Matter? Is this certification worth it? Unfortunately, while it is a seemingly simple question, the answer is far from simple. Not all certifications are created equal, and not all trainers, rehabilitation specialists, and strength and conditioning coaches have similar educational needs, certification requirements, and target populations. Given that each scenario is unique, I’ll do my best to give you multiple perspectives in the paragraphs that follow. First, I’ll speak from an employer’s perspective. You absolutely, positively need a certification to get your foot in the door in this industry. It’s a baseline requirement. Sure, some are better than others, but I would never consider actually hiring someone who didn’t have a certification. That’s not to say, however, that having multiple certifications makes you a more qualified candidate. Nobody likes that person who have 14 certifications and the resulting “alphabet soup” after his/her name. One certification might very well be enough. Second, putting myself in potential clients’ shoes, they really don’t know the differences among NSCA-CSCS, NASM-CPT, QRSTUV, ASAP, and R2-D2. There isn’t a certifying body out there who spends enough money and time marketing to the masses to educate them that one certification makes for a better personal trainer than others. It’s like me trying to figure out what makes one architect better than another if you just throw a bunch of initials after their names; I’d have no clue. Potential clients turn into actual clients because they’ve perceived your expertise in some fashion – e.g., word-of-mouth from another client, reading an article, chatting with you, observing a training session, etc. 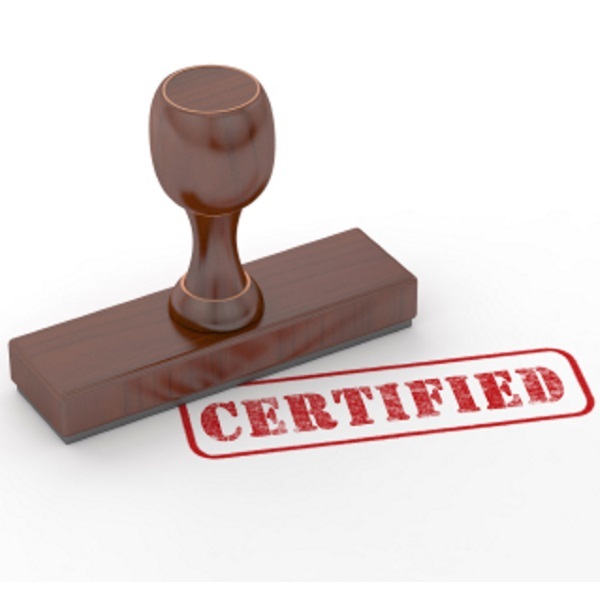 – but it rarely has to do with them becoming familiar with what certification you have. 1. Will this experience provide me with specific information I wouldn’t otherwise have? 2. Will this experience provide information I can immediately apply in my interaction with my clients and staff? 3. Is the experience delivered by one of the best in the experience? Can these individuals speak from perspective? Or, are they academics who haven’t worked with an actual human in years? In other words, I’ll do a certification for the knowledge, not for the resume building. And, I want to make sure there are practical strategies that have been implemented in the trenches, not in a magical theoretical paradigm. This is what Dr. John Berardi and his team delivers with the Precision Nutrition Certification. It’s what we’ve worked hard to deliver with our Elite Baseball Mentorships (even though it’s not a certification). And, most recently, it’s what Lee Taft has done with his Certified Speed and Agility Coach (CSAC) offering. I’m actually going through the course myself right now, as Lee actually filmed it at Cressey Sports Performance and I got a sneak preview. To say that it’s excellent would be an understatement, and we’re actually implementing it as part of our staff training curriculum; all CSP coaches will be CSAC by the end of the spring. I really couldn’t care less about the initials, though; it’s about getting quality information from a guy who has dedicated the last 25 years of his life to teaching speed and agility to athletes from all different sporting disciplines. This program “correctly” answers all three of my questions from above, and that’s why it’s a go in my eyes.